MagicScienceHouse its subsidiaries and affiliates (“Company” or “we”) welcome you (“User” or “you”) to the featured interactive mobile device applications offered by MagicScienceHouse (“App (s)” as further defined below). Users may use the Apps in accordance with the terms and conditions hereunder. 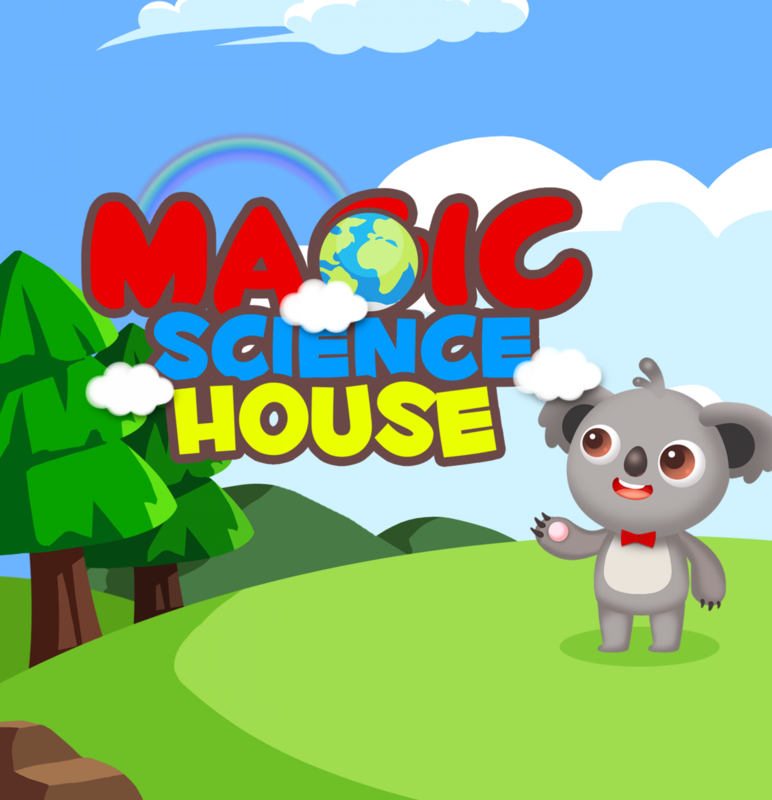 MagicScienceHouse offers various mobile applications (such as interactive e-books, games, and educational experiences) which are oriented for children under the age of thirteen (13) as well as certain mobile applications which are NOT targeted to children under the age of thirteen (13). “Kids Apps” and “Apps for Everyone” collectively referred to herein as “Apps”. Note that the Apps may include local notifications that are sent to a User directly on his/her mobile device. Certain of the Apps may permit in-app purchases, even if such Apps were downloaded for free. Such in-app purchases may not require the re-entry of credit card information as such in-app purchases will be made through an existing account with a third party distributor (for example, Apple’s App Store or Google Play Store). Please note that the Apps may only be available for certain operating systems (such as iOS, Android, Windows OS or Windows 8). The User may only download and use the Apps on a device running validly licensed copies of the operating systems on which the Apps were designed to operate. To be able to access and/or use the Apps, or any portion thereof, User must legally obtain all the applicable or required facilities, utilities, software and equipment at his/her sole risk and expense. With respect to Apps that provide an option to pay periodic subscription fees: such payment will enable the User to receive access to the full version of the App (i.e., unlimited access to the full functionality of such App) and any related content updates. The User will be able to enjoy such full version of the App from any devices registered on his/her iTunes account or Google Play account, as long as his/her subscription is active. A User may cancel his/her subscription, however the cancellation will not come into effect until the end of the applicable billing cycle. In the event that the User ceases to pay the subscription fees, the User will return to the “free to play”/free trial mode, which is limited in the functionalities that are provided for free (if any). The duration, price and terms of payment of the subscriptions will appear in the applicable Apps detail pages. In the case of Google Play, a notice will be sent to the User and the increase will apply to the next payment due from the User after the notice, provided that the User has been given at least 10 days’ prior notice before the charge is made. If the User is given less than 10 days’ prior notice, the price increase will not apply until the payment after the next payment due. Note: We may, at our discretion, distribute Promotional Codes (defined below) which allow free use of Apps (or portions thereof). For more information, please refer to Section 26 below. We may also make some Apps available to Users for offline use. During the offline use not all functionalities will be available to the Users. In addition, you hereby acknowledge and agree that you may be charged for Internet and data usage charges made through use of the Apps according to the applicable rates charged by your respective third party internet and data usage service provider. MagicScienceHouse will not be liable for any Internet and data usage charges which you may be charged by your respective third party internet and data usage service providers. Facebook Login feature:Users who wish to, inter alia, post on their Facebook timeline their score in the Apps for Everyone and any other text or content, invite Facebook friends, request from their friends on Facebook certain in-app features (such as extra “lives”), view their friends’ scores and achievements in the applicable Apps for Everyone and share their scores on some of the Apps for Everyone with their friends on Facebook, can use the feature “Log in with Facebook” which may be available in the Apps for Everyone. Game Center Features and Social Features: Our Apps for Everyone may enable use of certain game center features which are operated by third party social networks or other platforms (such as Apple Game Center, Google Play Games, Amazon GameCircle) (“Game Center Feature”). The Game Center Feature enables the User to engage in social game related activities, such as tracking the User’s best scores and achievements, comparing scores, achievements, ranks and other information with other Users (in leaderboards or achievements), invite and receive invitations from others to become friends, invite friends to play and challenge them to games and more, whether through the App or through the Social Networks or Platforms to which the Users are subscribed. In addition, some of our Apps for Everyone may include social sharing features (including native sharing features through iOS Native Sharing or Android Easy Share) which allow Users to share information and content with others through Social Networks or Platforms, SMS, email, Bluetooth, applications installed on the User’s device or other platforms or methods, posting features, and other integrated tools which allow for social integration with certain Social Networks or Platforms (for example the Facebook “Like” and “Share” buttons, sharing and posting gameplay or other content via Twitter, YouTube, Facebook, Google+ e-mail etc.) (collectively, “Social Features“). Push Notifications:MagicScienceHouse may send notifications, messages and/or alerts known as pop-ups and push notifications, via various means of communication (through the App, using the contact details the Users provided when opening an Account or otherwise). You can deactivate the notifications at any time by changing the notification settings in accordance with the instructions of the operating system running on your device, changing the settings within the App, and/or by clicking the ‘unsubscribe’ option contained in the notification which was sent to you. TO THE EXTENT LEGALLY PERMISSIBLE, THE APPS, CONTENT AND USER GENERATED CONTENT (AS SUCH TERMS ARE DEFINED BELOW) ARE PROVIDED “AS IS”. MAGICSCIENCEHOUSE WILL NOT BE LIABLE FOR ANY DAMAGES OR LOSS INCURRED TO YOU OR ANY OTHER PERSON AS A RESULT OF OR IN CONNECTION WITH YOUR USE OF THE APP(S), CONTENT AND/OR USER GENERATED CONTENT. You may not (and you may not permit any User or third party to): (a) use the Apps for any illegal, immoral, unlawful and/or unauthorized purposes; (b) use the Apps, Content and/or User Generated Content for non-personal or commercial purposes without Company’s express prior written consent; (c) fail to pay any fees (to the extent applicable), if, for example, your credit card was blocked or the use thereof was limited in any way; (d) interfere with or violate Users’ rights to privacy and other rights, or harvest or collect personally identifiable information about Users without their express consent, whether manually or with the use of any robot, spider, crawler, any search or retrieval application, or use other manual or automatic device, process or method to access the Apps and retrieve, index and/or data-mine information; (e) interfere with or disrupt the operation of the Apps or the servers or networks that host the Apps, or disobey any laws or regulations or requirements, procedures, policies, or regulations of such servers or networks; (f) falsely state or otherwise misrepresent your affiliation with any person or entity, or express or imply that MagicScienceHouse endorses you, your site, your business or any statement you make, or present false or inaccurate information about the Apps; (g) take any action that imposes, or may impose, an unreasonable or disproportionately large load on our platform infrastructure, as determined by us; (h) bypass any measures we may use to prevent or restrict access to the Apps; (i) copy, modify, alter, adapt, make available, translate, port, reverse engineer, decompile, or disassemble any portion of the content made accessible by MagicScienceHouse on or through the Apps, including any information, videos, text, graphics, software programs used by MagicScienceHouse in connection with the Apps, materials, descriptions, data obtained from or through the Apps (collectively, “Content”), or publicly display, reproduce, create derivative works from, perform, distribute, or otherwise use such Content, other than as permitted under these Terms; (j) copy, distribute, display, execute publicly, make available to the public, reduce to human readable form, decompile, disassemble, adapt, sublicense, make any commercial use, sell, rent, transfer, lend, process, compile, reverse engineer, combine with other software, translate, modify or create derivative works of any material that is subject to MagicScienceHouse’ proprietary rights, including MagicScienceHouse’ Intellectual Property (as defined below), in any way or by any means, unless expressly permitted in the Terms; (k) make any use of the Content on any other site or networked computer environment for any purpose, or replicate or copy the Content without MagicScienceHouse’ prior written consent; (l) create a browser or border environment around MagicScienceHouse Content (no frames or inline linking is allowed); (m) sell, license, or exploit for any commercial purposes any use of or access to the Apps, Content and/or User Generated Content; (n) frame or mirror any part of the Apps without MagicScienceHouse’ prior express written authorization; (o) create a database by systematically downloading and storing all or any of the Content and/or User Generated Content from the Apps; (p) transmit or otherwise make available in connection with the Apps any virus, worm, Trojan Horse, time bomb, web bug, spyware, or any other computer code, file, or program that may or is intended to damage or hijack the operation of any hardware, software, or telecommunications equipment, or any other actually or potentially harmful, disruptive, or invasive code or component; (q) remove or disassociate, from the Content and/or the Apps any copyright, trademark or other proprietary notices contained in such materials (such as ©,™, or ®); and/or (r) infringe and/or violate any of the Terms. Subject to the terms hereof, MagicScienceHouse hereby grants to you, and you accept, a personal, nonexclusive, non-commercial, non-transferable, non-sublicensable and fully revocable limited license to download and use the App(s) on your authorized mobile telephone, device or tablet that you own or control (“Device”) solely for the limited purpose of your internal non-commercial use, and for no other purpose, strictly in accordance with the Terms, the applicable Usage Rules (defined below) and applicable law. The Terms do not convey to you an interest in or to MagicScienceHouse’ Intellectual Property but only a limited revocable right of use in accordance with the Terms. Nothing in the Terms constitutes a waiver of MagicScienceHouse’ Intellectual Property under any law. Any feedback, comment or suggestion provided by you to MagicScienceHouse regarding the Apps (“Feedback”) is hereby assigned to MagicScienceHouse which shall remain the exclusive owner of such Feedback. To the extent such Feedback is not assignable under applicable law, you hereby grant MagicScienceHouse an exclusive, royalty-free, fully paid up, worldwide, perpetual and irrevocable license to incorporate the Feedback into any MagicScienceHouse current or future products, technologies or services and use same for any purpose all without further compensation to you and without your approval. You agree that all such Feedback shall be deemed to be non-confidential. Further, you warrant that the Feedback is not subject to any license terms that would purport to require MagicScienceHouse to comply with any additional obligations with respect to any MagicScienceHouse current or future products, technologies or services that incorporate any Feedback. The Apps, the Content and the Company’s proprietary assets and any and all intellectual property rights pertaining thereto, including, but not limited to, inventions, patents and patent applications, trademarks, trade names, copyrightable materials, graphics, text, images, designs (including the “look and feel” of the Apps) specifications, methods, procedures, information, know-how, algorithms, data, technical data, interactive features, source and object code, files, interface, GUI and trade secrets, whether or not registered or capable of being registered (excluding the User Generated Content) (collectively, “Intellectual Property”), are owned by and/or licensed to MagicScienceHouse and are protected by applicable copyright and other intellectual property laws and international conventions. Notwithstanding anything to the contrary herein, you agree that the Apps are licensed hereunder, not sold. All rights not expressly granted to you hereunder are reserved by MagicScienceHouse and its licensors. Some of our Apps for Everyone may include functionalities enabling Users to share and upload, post, publish or make available their own copyrightable materials such as drawings, designs, animations, literary works, texts, messages, comments, images, photos, videos and any other proprietary materials and content, all whether made independently or through the use of certain functions of the Apps for Everyone (collectively, “User Generated Content“). You represent and warrant that you are the rightful owner of the User Generated Content or that you have (and will continue to have) all the necessary licenses, rights, consents, and permissions from the licensors of such User Generated Content to use such content and enable inclusion and use as contemplated by these terms and that such User Generated Content does not infringe any third party’s intellectual property, privacy, publicity or other rights. THE USER GENERATED CONTENT THAT YOU UPLOAD MAY BE SHARED WITHIN THE APP, IN WHICH CASE IT WILL BE DISPLAYED TO OTHER USERS OF THE APP, OR ACROSS SOCIAL NETWORKS OR PLATFORMS, IN WHICH CASE IT MAY BE PUBLICLY AVAILABLE TO OTHER USERS OF SUCH SOCIAL NETWORKS OR PLATFORMS, AND THEREFORE IS DEEMED NON-CONFIDENTIAL, AND YOU HEREBY WAIVE ANY PRIVACY RIGHTS AND PUBLICITY RIGHTS (AS APPLICABLE) WITH RESPECT THERETO. You understand and agree that you are solely responsible for your User Generated Content and the consequences of posting or publishing it. MagicScienceHouse will not bear any liability for any loss, damage, cost or expense that you or any third party may suffer or incur as a result of or in connection with uploading any User Generated Content. You agree that you will not post or upload, publish or transmit any User Generated Content containing content which is unlawful, defamatory, libelous, offensive, obscene, pornographic, indecent, harassing, threatening, abusive, fraudulent, encourages conduct that is considered a criminal offense, gives rise to civil liability or is otherwise inappropriate, impersonates another or false (collectively, “Prohibited Content“). Although MagicScienceHouse has no obligation to screen, edit or monitor any of the User Generated Content, MagicScienceHouse explicitly reserves the right, at its discretion, to remove or edit, without giving any prior notice, any User Generated Content available on or through the applicable App at any time and for any reason, and you are solely responsible for creating backup copies of your User Generated Content at your sole expense. MAGICSCIENCEHOUSE TAKES NO RESPONSIBILITY AND ASSUMES NO LIABILITY FOR ANY USER GENERATED CONTENT UPLOADED, POSTED, PUBLISHED OR MADE AVAILABLE BY YOU OR ANY THIRD PARTY THROUGH OR WITHIN THE APPS, OR FOR ANY LOSS OR DAMAGE THERETO, NOR IS MAGICSCIENCEHOUSE LIABLE FOR ANY USER GENERATED CONTENT CONSTITUTING PROHIBITED CONTENT THAT YOU OR ANY OTHER THIRD PARTY MAY ENCOUNTER ON OR THROUGH THE APPS. MagicScienceHouse may create limits on the use of the Apps, including limitation on size and storage space available for Users to upload User Generated Content. As a viewer of the User Generated Content, you agree that if you believe that any User Generated Content available on or through an App amounts to Prohibited Content or was posted in violation of these Terms, please stop viewing such User Generated Content and promptly contact our Misconduct Agent or our Copyright Agent, as applicable (for more information see below). The foregoing terms state MagicScienceHouse’ sole and exclusive responsibility and your sole and exclusive remedy for any claims related to User Generated Content; and you hereby waives your rights or remedies against MagicScienceHouse in this respect. When you upload, post, communicate, publish or make available any User Generated Content on an App, you grant us a perpetual, non-exclusive, royalty-free, worldwide, transferable, sublicensable license to publicly display, communicate, distribute, host, publically perform, publish, reproduce, make modifications or derivative works, store and use such User Generated Content in connection with the App, whether through the Internet, mobile devices or otherwise, in any media formats and through any media channels known today and developed in the future for the purpose of operating, marketing, promoting, advertising and improving MagicScienceHouse and its Apps, for any other legitimate business purposes and for legal purposes (e.g. to satisfy applicable laws, governmental requests, enforce the Terms and other MagicScienceHouse terms or policies (including investigation or potential violations thereof), detect or prevent fraud, protect the rights of MagicScienceHouse, its Users, other users or the general public, etc. You hereby waive any moral rights, attribution rights and publicity rights (if any) with respect to our use of the User Generated Content in accordance with these Terms. PLEASE NOTE THAT USER GENERATED CONTENT YOU UPLOAD, PUBLISH OR SHARE MAY REMAIN IN MAGICSCIENCEHOUSE’ ARCHIVES AFTER TERMINATION OF THE ACCOUNT OR AFTER ITS DELETION FROM THE ACCOUNT, SO AS TO ALLOW MAGICSCIENCEHOUSE TO USE IT FOR THE PURPOSES SPECIFIED IN THIS SECTION 8. We care for your safety. If you believe a User acted inappropriately, including but not limited to offensive, violent or sexually inappropriate behavior, please report immediately such person to the appropriate authorities and to us at the e-mail address: [email protected]magicsciencehouse.com. MagicScienceHouse respects the intellectual property rights of others. If you believe that your work has been copied in a way that constitutes copyright infringement or that your intellectual property rights have been otherwise violated, please provide the following information in writing to MagicScienceHouse’ Copyright Agent: (i) a physical or electronic signature of a person authorized to act on behalf of the owner of the right; (ii) a description of the copyrighted work or other intellectual property that you claim has been infringed or, if multiple infringing works at a single online site are covered by a single notification, a representative list of such works at that site; (iii) a description of the material that you claim to be infringing or to be the subject of infringing activity, and information sufficient to permit us to locate the material; (iv) information so that we can contact you, such as address, telephone number and e-mail address; (v) a statement that you believe in good faith that use of the material in the manner complained of is not authorized by the copyright or intellectual property owner, its agent, or the law; (vi) a statement by you, made under penalty of perjury, that the information in the notification is accurate and that you are the copyright or intellectual property owner or authorized to act on behalf of the copyright or intellectual property owner. Infringement claims and notices should be sent to the attention of MagicScienceHouse’ Copyright Agent by e-mail to: [email protected]magicsciencehouse.com. If you believe that your User Generated Content was removed by mistake, and that you have the right to post it, you may elect to send us a counter-notification. To be effective the counter-notification must be a written communication provided to our Copyright Agent that includes substantially the following: (i) your physical or electronic signature, (ii) Identification of the User Generated Content that was removed or to which access was disabled and the location at which it appeared before such removal or disablement, (iii) a statement under penalty of perjury that you have a good faith belief that the User Generated Content was removed or disabled as a result of mistake or misidentification, and (iv) your name, address, and telephone number, and a statement that you consent to the jurisdiction of the Federal District Court for the judicial district in which the address is located, or if your address is outside of the United States, for any judicial district in which MagicScienceHouse may be found, and that you will accept service of process from the person who provided notification of infringement or an agent of such person. “ MagicScienceHouse”, MagicScienceHouse’ marks and logos and all other proprietary identifiers used by MagicScienceHouse in connection with the Apps (“Company Trademarks”) are all trademarks and/or trade names of MagicScienceHouse, whether or not registered. All other trademarks, service marks, trade names and logos which may appear on the Apps belong to their respective owners (“Third Party Marks”). No right, license, or interest to the Company Trademarks and the Third Party Marks is granted hereunder, and you agree that no such right, license, or interest may be asserted by you with respect thereto and therefore you will avoid using any of those marks, except as permitted herein. The Apps may use or include third party software, files and components that are subject to open source and third party license terms (“Third Party Components”). Your right to use such Third Party Components as part of, or in connection with, the Apps is subject to any applicable acknowledgements and license terms accompanying such Third Party Components, contained therein or related thereto. If there is a conflict between the licensing terms of such Third Party Components and these Terms, the licensing terms of the Third Party Components shall prevail in connection with the related Third Party Components. These Terms do not apply to any Third Party Components accompanying or contained in the Apps and MagicScienceHouse disclaims all liability related thereto. You acknowledge that MagicScienceHouse is not the author, owner or licensor of any Third Party Components, and that MagicScienceHouse makes no warranties or representations, express or implied, as to the quality, capabilities, operations, performance or suitability of Third Party Components. Under no circumstances shall the Apps or any portion thereof (except for the Third Party Components contained therein) be deemed to be “open source” or “publicly available” software. The Company reserves the right to modify, correct, amend, enhance, improve, make any other changes to, or discontinue, temporarily or permanently, the Apps (or any part thereof) without notice, at any time. In addition, you hereby acknowledge that the Content provided under the Apps may be changed, extended in terms of content and form or removed at any time without any notice to you. You agree that MagicScienceHouse shall not be liable to you or to any third party for any modification, suspension, or discontinuance of the Apps and/or the Content included therein. You hereby agree that the Company is not responsible for any errors or malfunctions that may occur in connection with the performing of such changes. If MagicScienceHouse supplies to you any updates, upgrades and any new versions of the App (“Updates”) according to its then current policies, it may include automatic updating or upgrading of the App with or without any additional notice to you, you consent thereto and the Terms will govern any such Updates unless these are accompanied by a separate license agreement which will prevail, and all references herein to the App shall include such Updates. For clarity, MagicScienceHouse has no obligation to provide Updates. TO THE FULLEST EXTENT LEGALLY PERMISSIBLE, THE APPS, CONTENT, USER GENERATED CONTENT AND THIRD PARTY COMPONENTS ARE PROVIDED ON AN “AS IS” “WITH ALL FAULTS” AND “AS AVAILABLE” BASIS, AND MAGICSCIENCEHOUSE AND ITS VENDORS (INCLUDING THE APPLICABLE PLATFORM PROVIDERS), INCLUDING OUR AND SUCH VENDORS’ OFFICERS, DIRECTORS, EMPLOYEES, AFFILIATES, SUBSIDIARIES, LICENSORS, AGENTS AND SUPPLIERS (“COVERED PARTIES”) DISCLAIM ALL WARRANTIES OF ANY KIND, EXPRESS, IMPLIED OR STATUTORY, INCLUDING BUT NOT LIMITED TO WARRANTIES OF TITLE OR NON-INFRINGEMENT OR IMPLIED WARRANTIES OF USE, MERCHANTABILITY OR FITNESS FOR A PARTICULAR PURPOSE AND THOSE ARISING FROM A COURSE OF DEALING OR USAGE OF TRADE. YOU MAY HAVE ADDITIONAL CONSUMER RIGHTS UNDER YOUR LOCAL LAWS THAT THIS AGREEMENT CANNOT CHANGE. WE DO NOT WARRANT: (I) THAT USE AND OPERATION OF THE APPS IS OR WILL BE SECURE, TIMELY, ACCURATE, COMPLETE, UNINTERRUPTED, WITHOUT ERRORS, OR FREE OF VIRUSES, DEFECTS, WORMS, OTHER HARMFUL COMPONENTS OR OTHER PROGRAM LIMITATIONS, (II) THAT WE WILL CORRECT ANY ERRORS OR DEFECTS IN THE APPS, (III) THE APPS WILL BE INTEROPERABLE OR COMPATIBLE WITH YOUR DEVICE, OTHER SOFTWARE, HARDWARE, OR ANY EQUIPMENT, AND WE ARE NOT RESPONSIBLE FOR ANY LOSSES SUFFERED RESULTING FROM INTEROPERABILITY OR COMPATIBILITY PROBLEMS, (IV) AND/OR MAKE ANY REPRESENTATION REGARDING THE USE, INABILITY TO USE OR OPERATE, OR THE RESULTS OF THE USE OF THE APPS, CONTENT AND/OR USER GENERATED CONTENT AVAILABLE THEREON OR THROUGH THE APPS (INCLUDING THAT THE RESULTS OF USING THE APPS WILL MEET YOUR REQUIREMENTS). MAGICSCIENCEHOUSE HEREBY DISCLAIMS ALL WARRANTIES AND CONDITIONS WITH REGARD TO THE USE OF THE APPS, INCLUDING BUT NOT LIMITED TO THE AVAILABILITY, RELIABILITY OR THE QUALITY OF THE APPS, AND IS NOT AND SHALL NOT BE RESPONSIBLE FOR ANY ERROR, FAULT OR MISTAKE RELATED TO ANY CONTENT AND/OR USER GENERATED CONTENT AND/OR INFORMATION DISPLAYED WITHIN THE APPS. WE DO NOT ENDORSE OR GUARANTEE, ARE NOT RESPONSIBLE AND HAVE NO LIABILITY FOR ANY HARDWARE, SOFTWARE, PRODUCT OR OTHER ITEM OR SERVICE (I) PROVIDED BY ANY PERSON OR ENTITY OTHER THAN MAGICSCIENCEHOUSE (INCLUDING WITHOUT LIMITATION ANY TECHNICAL FAILURES OR THE LACK OF AVAILABILITY OF ANY FEATURES AVAILABLE WITHIN OUR APPS WHICH ARE NOT UNDER OUR CONTROL) AND/OR (II) THAT APPEAR IN ANY USER GENERATED CONTENT. FOR PURPOSES OF THIS SECTION, THE TERMS “APP(S)” OR “SERVICES” SHALL INCLUDE ANY PROMOTIONAL CODES PROVIDED TO YOU BY MAGICSCIENCEHOUSE AND THE DISCLAIMERS CONTAINED HEREIN SHALL APPLY ALSO TO SUCH PROMOTIONAL CODES. TO THE MAXIMUM EXTENT LEGALLY PERMISSIBLE, IN NO EVENT SHALL MAGICSCIENCEHOUSE INCLUDING THE COVERED PARTIES BE LIABLE FOR ANY DAMAGES WHATSOEVER INCLUDING, BUT NOT LIMITED TO, DIRECT, INDIRECT, SPECIAL, PUNITIVE, EXEMPLARY, INCIDENTAL OR CONSEQUENTIAL DAMAGES OF ANY KIND, UNDER ANY LEGAL THEORY (INCLUDING, WITHOUT LIMITATION, CONTRACT, NEGLIGENCE, TORT OR STRICT LIABILITY) (INCLUDING WITHOUT LIMITATION, LOSS OF GOODWILL, PROFITS OR DATA AND BUSINESS INTERRUPTION) ARISING HEREUNDER, RESULTING FROM OR ARISING OUT OF THE APPS (INCLUDING ANY SERVICES MADE AVAILABLE THROUGH THE APPS), YOUR USE OR INABILITY TO USE THE APPS, OR FAILURE OF THE APPS TO PERFORM AS REPRESENTED OR EXPECTED, OR FROM ANY CONTENT OR THE USER GENERATED CONTENT, THE PERFORMANCE OR FAILURE OF MAGICSCIENCEHOUSE TO PERFORM UNDER THESE TERMS, ANY OTHER ACT OR OMISSION OF MAGICSCIENCEHOUSE OR ANY OF THE COVERED PARTIES, BY ANY OTHER CAUSE WHATSOEVER; OR BASED UPON BREACH OF WARRANTY, GUARANTEE OR CONDITION, BREACH OF CONTRACT, NEGLIGENCE, STRICT LIABILITY, TORT, OR ANY OTHER LEGAL THEORY, REGARDLESS OF WHETHER REPAIR, REPLACEMENT OR A REFUND FOR THE APPS DOES NOT FULLY COMPENSATE YOU FOR ANY LOSSES AND REGARDLESS OF WHETHER ANY OF THE COVERED PARTIES HAS BEEN ADVISED OF THE POSSIBILITY OF SUCH DAMAGES. IN ANY CASE, WITHOUT LIMITING THE GENERALITY OF THE AFOREGOING AND TO THE MAXIMUM EXTENT LEGALLY PERMISSIBLE, MAGICSCIENCEHOUSE, ITS VENDORS INCLUDING OUR AND SUCH VENDORS’ OFFICERS, DIRECTORS, EMPLOYEES, AFFILIATES, SUBSIDIARIES, LICENSORS, AGENTS AND SUPPLIERS TOTAL AGGREGATE LIABILITY FOR ALL DAMAGES OR LOSSES WHATSOEVER ARISING HEREUNDER OR IN CONNECTION WITH OR ARISING OUT OF THE APPS, CONTENT OR USER GENERATED CONTENT AND YOUR USE OR INABILITY TO USE SAME SHALL BE LIMITED TO THE AMOUNT ACTUALLY PAID BY YOU, IF ANY, TO MAGICSCIENCEHOUSE FOR USE OF THE APPS OR $US1.00, WHICHEVER IS GREATER. THE LIMITATION OF LIABILITY PROVISIONS WHICH APPLY TO ANY RESPONSIBILITIES OF THE APPLICABLE PLATFORM PROVIDER ARE SET FORTH IN THEIR APPLICABLE USAGE RULES. YOU WILL NOT, AND WAIVE ANY RIGHT TO, SEEK TO RECOVER ANY OTHER DAMAGES, INCLUDING CONSEQUENTIAL, LOST PROFITS, SPECIAL, INDIRECT OR INCIDENTAL DAMAGES FROM US AND FROM THE COVERED PARTIES. You agree to defend, indemnify and hold harmless MagicScienceHouse, its vendors, including our and such vendors’ officers, directors, employees, affiliates, subsidiaries, licensors, agents and suppliers from and against all claims, damages, obligations, losses, liabilities, costs, debts, and expenses (including but not limited to attorney’s fees) arising from: (i) your use, misuse of , inability to use and/or activities in connection with the Apps and/or Content; (ii) your violation of any of these Terms; (iii) your violation of any third party rights, including without limitation any intellectual property rights or privacy right of such third party; (iv) any damage of any sort, whether direct, indirect, special or consequential, you may cause to any third party with relation to the Apps; and (v) your User Generated Content. It is hereby clarified that this defense and indemnification obligation will survive these Terms. These Terms shall remain in effect until terminated as set forth herein. Your failure to comply herewith shall terminate your license and these Terms. If you object to any term hereof, as may be amended from time to time, or become dissatisfied with the App, you may terminate these Terms at any time by uninstalling our Apps and stopping your use thereof and this will be you sole remedy in such circumstances. In such circumstance and upon termination of these Terms in the event of your failure to comply herewith: (i) the license and all other rights granted to you hereunder will automatically terminate, (ii) you must immediately cease all use of the App, delete and destroy all copies of the App in your possession or control and so certify to MagicScienceHouse if required by it, and (iii) the provisions of these Terms that, by their nature and content, must survive the termination of these Terms in order to achieve the fundamental purposes of these Terms shall so survive. Without limiting the generality of the forgoing, Sections 1, 3-5, 8, 19-22, 24, and 26 will survive the termination of the Terms.